Bennion Construction is a licensed, bonded and insured General Contracting company serving Seattle and the surrounding cities. 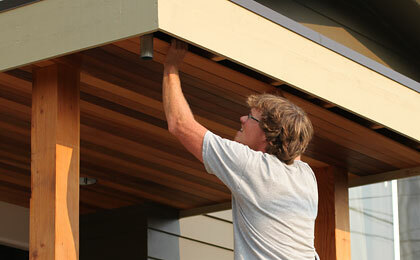 We specialize in residential remodels, new construction and custom carpentry. Our focus is on safety, exceptional craftsmanship, budget management, and staying on or ahead of schedule. We pride ourselves on satisfied clients, who choose to use our services time and time again. First and foremost, we want to learn about you, your project goals, and how you envision your project to look and feel. It's important we understand how you intend to use your new space. Once we understand your ideas and dreams, we can begin building them. We believe communication is the key to a successful relationship. We understand remodeling or building a new home can be very stressful. It's our mission to make choosing your contractor a comfortable one. We are here to help you create and build your dreams. Give us a call or write, so we can get started. 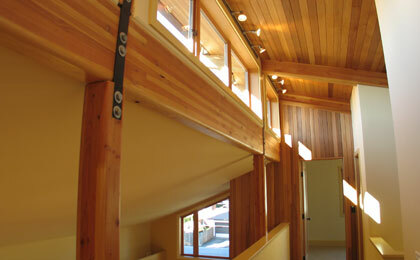 We encourage sustainable building practices when ever possible. For example, buying sustainably harvested lumber, using recycled materials, or installing alternative energy systems. There are many different ways to contribute and participate in the green building revolution. We would be happy to discuss these options. Patrick Bennion is the owner of Bennion Construction. He has been involved with the building trades for over 15 years. In 2006 he completed the UW Construction Management Certificate Program. This was a 16 mo. graduate level program created by the UW Professional and Continuing Education dept. in partnership with the College of Built Environments. The program training teaches and prepares its professionals to manage projects in the most efficient and cost effective manner possible. Patrick also holds a BA in cultural anthropology from Western Washington University. Bennion Construction was founded by Patrick in June of 2007. Prior to launching his own company, Patrick was employed for three years as a superintendent with Nelse Design + Build, a Seattle based custom design-build firm. Patrick was responsible for running on site operations, including material procurement, managing his crew as well as all subcontractors, and scheduling all phases of the project. With a solid grasp of the industry and experience on site - Patrick decided it was time to launch his own company. The combination of his construction management education with hands on carpentry skills has provided Patrick the ability to collaborate with owners, finding construction solutions which comply with their budget as well as meet their design needs. Today, Patrick is happily married with a family.